Read the below articles to know about the famous palaces in Thiruvanthapuram. Being the capital city of Kerala, Thiruvanthapuram is known for its tourist attractions. Even though this city has many pilgrimage places, beaches, zoo, museum and other wonderful sights it too have many wonderful palaces worth visiting. Trivandrum is also known by the name Thiruvananthapuram. It was earlier known by the name “Ananthapuri”, which means the place where Ananthan (Lord Vishnu) resides. By going through the below article, you will get a brief about the various palaces in Trivandrum where the ancient rulers resided. It is the best place for a short trip and for relaxation. These palaces gives an insight to the typical Kerala architecture and traditional life style and also throws some light into the traditional art forms in Kerala. Trivandrum is a place with lot of majestic old palaces. To know and to see the beauty of old palaces and its architecture, you will have to visit any of the below palaces. Kowdiar Palace : Kowdiar Palace is a huge palace with lot of architectural works and is the main residential place of the Tavancore Royal Family. It was built in 1915 by Sree Moolam Thirunal. It is a palace with over 150 rooms and Sree Molam Thirunal has gifted this palace to Sethu Parvati Bayi. The entry to this palace is restricted as it is a residential area of the old rulers. Kanakakunnu Palce is another beautiful tourist attraction located near Napier Museum, which shows the ability of ancient Indian craftsman and architects. It was built by Sree Moolam Thirunnal but now it is been protected by the tourism department. Various cultural programs takes place at the Nisagandhi open-air auditorium situated within the Kanakakunnu palace compound. Another auditorium in this palace is Sooryakanthi auditorium. Mascot Hotel is one of the best recommended hotel near Kanakakunnu Palace. This palace is officially known as Puthen Malika Palace and is located near the famous Padmanabha Swamy Temple. It was built by Maharaja Swathi Thirunal Balarama Varma. It is actually a museum which has the weapons used by ancient Rajas and has a great collection of the wonderful paintings by Rajas and Ranis. The term Puthen Malika means New Mansion. Yes, it is a new mansion with 122 horses carved on the wooden bracket that support the southern roof of the palace. Hence it got the name Kuthiramalika. “Kuthira” in Malayalam means horse and “malika” means palace. 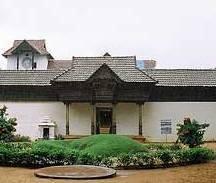 Kilimanoor Palace, another beautiful palace in Kilimanoor, Trivandrum is the birth place of the great painter Raja Ravi Varma. Hence visiting this palace makes you see the architectural beauty as well as the beauty of oil paintings by Raja Ravi Varma. 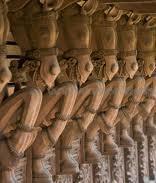 Padmanabhapuram Palace Padmanabhapuram Palace is about 50-60Kms away from Thiruvanthpuram. 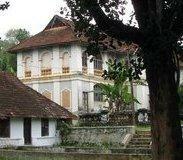 This palace is located in Thucklai, the ancient capital of the State of Travancore. This palace has secret underground passages and wood work doen with the wood of the tree "Mahagany". This palace will be closed on Mondays, hence if you are planning to have a visit, kindly avoid Mondays.